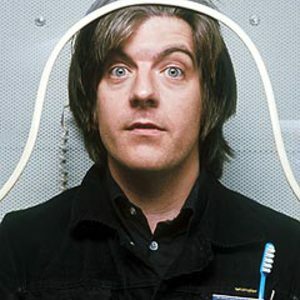 Nick Lowe (born Nicholas Drain Lowe, 24th March 1949, Walton-on-Thames, England) is a singer-songwriter, musician and producer. A pivotal figure in U.K. pub rock, punk rock, and new wave, Lowe has recorded a string of well-reviewed solo albums. Along with vocals, Lowe plays guitar, bass guitar, piano, and harmonica. He is perhaps best known for his songs "(What's So Funny 'Bout) Peace, Love, And Understanding" and "Cruel to Be Kind", as well as his production work with Elvis Costello. A pivotal figure in U.K. pub rock, punk rock, and new wave, Lowe has recorded a string of well-reviewed solo albums. Along with vocals, Lowe plays guitar, bass guitar, piano, and harmonica. He is perhaps best known for his songs "(What's So Funny 'Bout) Peace, Love, And Understanding" and "Cruel to Be Kind", as well as his production work with Elvis Costello. Lowe began his recording career in 1966 as a member of Kippington Lodge, founded with his friend Brinsley Schwarz, which released a few singles on Parlophone. Three years later Kippington Lodge had changed its name to Brinsley Schwarz and its musical focus to country- and blues-rock. After leaving Brinsley Schwarz in the mid-1970s, Lowe began playing in Rockpile with Dave Edmunds. In August 1976 Lowe released "So It Goes" b/w "Heart of the City", the first single on the Stiff Records label where he was in-house producer (the label's first EP was Lowe's 1977 four-track release Bowi, apparently named in response to David Bowie's contemporary LP Low) . On this and other labels, Lowe would go on to produce The Damned's Damned Damned Damned and many albums by Elvis Costello. Upon moving from Stiff to Jake Riviera's Radar and F-Beat labels, Lowe became extremely selective in his choice of production tasks. Because the two main writers in Rockpile had contracts with different record labels and managers, albums were always credited to either Lowe or Edmunds, so there is only one official Rockpile album, from the very end of the collaboration - 1980's Seconds of Pleasure, featuring the Lowe songs "When I Write the Book" and "Teacher Teacher" - but all of Lowe's and Edmunds' solo albums from the period were effectively Rockpile albums. Rockpile's demise was hastened by a number of conflicts, not between the group, but their management. Lowe's best-known song from this era is probably "I Knew the Bride When She Used to Rock 'n' Roll" (a reworking of Chuck Berry's "You Never Can Tell", a.k.a. "Teenage Wedding"). On the 1977 Live Stiffs compilation with a pickup band called Last Chicken in the Shop, he virtually sneers out his contempt for all concerned; in 1985, fronting Nick Lowe and His Cowboy Outfit on the album The Rose of England, he hasn't changed the words, but the tone is entirely different, even affectionate. The latter recording featured Huey Lewis & the News as his backing band. In 1979, Lowe married country singer Carlene Carter, daughter of country singers Carl Smith and June Carter Cash and step-daughter of Johnny Cash. He adopted her daughter, Tiffany Anastasia Lowe. The marriage with Lowe lasted until the mid-1980s, but they remained friends, and Lowe remained close to the Carter/Cash family; he and Johnny Cash played and recorded together, and Cash recorded several of his songs. After the demise of Rockpile Lowe toured for a period with his band Noise to Go and later with The Cowboy Outfit, which also included the noted keyboard player Paul Carrack. Lowe was also a member of the short-lived mainly studio project Little Village with John Hiatt, Ry Cooder, and Jim Keltner. In 1992, "(What's So Funny 'bout) Peace, Love, and Understanding" was covered by Curtis Stigers on the soundtrack album to The Bodyguard, an album that sold over fifteen million copies. Because Lowe received royalties from these sales, he suddenly found himself a millionaire. Freed from commercial constraints, Lowe has recorded more solo albums in his own very individual style to critical acclaim.